On this episode of the Gunmetal Armory, the Mistress of Metal opens the vault door to our “Storm Shelter”. Here in the USA, we have seen multiple natural disasters that have destroyed many cities, infrastructure, taken many lives, and they just keep coming. So, what do you do if you live in an area that is prone to the wrath of natural disasters? How do you prepare for them? Most folks that live in these kinds of areas are already well aware of how to cope with them and prepare for them, but you may not be, or we may have some tips that you haven’t heard before. Or, maybe you are about to move to an area like Oklahoma or Texas, you want to be prepared, but you don’t know where to start. Listen to this broadcast or download “Surviving Natural Disasters” in player below! The Mistress of Metal used to live in Texas… and hurricanes, flooding, tornados, and wind damage are common place where she was from. So she is going to take us through all the experiences she has encountered, how her and her family prepare for these types of disasters, and what you can do to be better prepared for these sorts of problems. 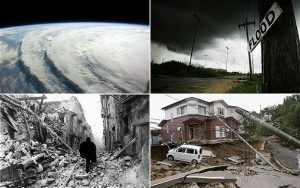 In addition to talking about what the Mistress and her family specifically do to prepare, we are also going to dive head long into other types of natural disasters, what is involved in and how to prepare for these other types of disasters, and of course, how to survive when they hit the area you are in. All of this will tie together with the information we will learn and when we finish, you will feel like you have learned a lot. Also, on the Gunmetal Armory, we will do our usual review of our chosen “Product Pick of the Week”. We will discuss the Product Pick in depth, its features and we will tell everyone where to find this week’s Product Pick. We will also discuss anything significant that occurred at the range I work at, and crazy Second Amendment news. And we will our usual Give-Away that we do every week. 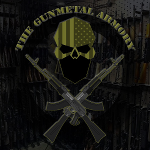 Our Give-Aways are very easy to enter, simply email me at: gunmetalarmory@gmail.com and say: “I’m In” and you ARE IN!! Its literally that easy.